We’ve seen their mug shots on TV or in the newspapers- guys such as Nick Nolte or Glen Campbell, who are taken into custody by law enforcement officials- looking for all the world like haggardly grizzled denizens of the street. It is a shocking realization to see these great men in such deplorable condition. The cover of this album pretty much says it all. A photo of an obviously destitute individual, sitting at a freeway viaduct or on-ramp, perhaps at the exit of a parking structure. He is huddled over, somewhat defensively, with a stub of cigarette stuffed between his lips; seemingly hiding behind a neatly lettered sign: “Please. 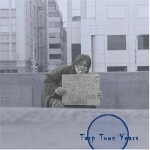 Down On My Luck,” (with a picture of a smiley face drawn next to the line). “Please Help,” (underlined). “God Bless,” (with the note ‘Go Giants’ penned in, at the side). Pitiably, the guy is holding the sign upside down. Hey wait a minute! That guy in the picture looks like Chris Newman- or more accurately, it looks like Chris Newman’s griseous old uncle, or something. Nope. It is Chris Newman. Unfortunately. The rumors had been circulating for the past several years that Chris Newman had gone down the tubes. Chris Newman. The guy whose guitar playing revolutionized the craft. The guy who was looked upon (locally, at the very least) as a guitar god; whose band Napalm Beach (and it’s pot-infested alter ego, Sno-Bud & The Flower People) was one of the very first to create the sound in rock music that was to later become known as Grunge. Chris Newman was a legend in Portland, starting in the late ‘70s and all through the ‘90s. But Chris had been sliding down the descending spiral of heroin abuse for quite a long time. He and his wife Valerie were known to be living in Forest Park in the late ‘90s, before moving to San Francisco- where there was a somewhat better climate in which to live on the street. Music for Chris was like a pair of eyes in a departing rear-view mirror, moving farther and farther into the distance. But, finally, it was Valerie who chose to break the cycle that could, ultimately, lead only to the deaths of her and Chris. Instead she left him. Her leaving seemed to be the wake-up call that Chris needed. Shaking off the cobwebs, he made his way back to Portland (where he had burned a lot of bridges, before splitting to San Francisco), to getting clean and to coming clean. With the help of long time friend, producer, label owner and all-around good guy, Jan Celt, Chris began to piece his musical life back together; recruiting his longtime drummer Sam Henry back into the fold as his rhythmic foundation. Chris Newman and company began performing again in Portland in the Spring of 2004, about the time this album was recorded. This album is the harrowing diary of Chris Newman’s traversal upon the lake of fire- his plunge into hell, his triumph over his demons, his redemption and salvation. This is not a pretty album. It is not humorous. It is as brutal and uncompromising a vision as that of Hubert Selby in his groundbreaking novel “Last Exit To Brooklyn,” published in 1964. There are times on this album where Chris sounds as if he is channeling William Burroughs or Charles Bukowski (or Bad George). His voice isn’t always as big as it used to be. From the slightly slurred vocals, it sounds as if he may be missing some of his front teeth. But the power and pathos which always found expression in Chris’ music is still at the forefront of his presentation. Just as with any car wreck, one simply cannot look away. It’s not a pretty picture, but it is at all times compellingly seductive. And this album isn’t about being pretty anyway. It is about being honest. It is about being real. And the result is a visceral sucker punch. A stream of mace, straight into the face. It is life, stripped-down and raw, splayed open beneath a bare 60-watt bulb. Survival, with a bloody spike in one’s hand. It is a clear act of bravery (and a true testament to his recovery) that Chris Newman has released this album at all. He pulls no punches with himself nor his situation. He confronts his life head-on, with no illusions, no fallacies, no salve for a pained conscience. “3:00 A.M.” features some soulful, Spanish-inflected guitar work, while picking up a lyrical thread woven in the previous song. “Dumpster Divin’ Diva” mirrors Leslie West’s 1970 hit “Mississippi Queen” with the band Mountain- a heavy, chord driven strut, with Chris’ brash vocals slashing across Henry’s hard-hitting beat. Classic Chris Newman material. “Devil In A Spoon” is a haunting conflagration, with a droning, backwards guitar mélange at it’s heart. Ethereally dazed. “Trust My Eyes” is a direct expression of steadfast resolve and frank introspection. A smoldering guitar solo, drives “Things Better Left Unsaid.” Chris’ spoken vocal creaks and croaks above a snarling, Hendrix-drenched guitar figure. Tobin‘s sax flies freely in space “God Is Real” is a sincere hymn, from one who knows the force of deliverance found in true faith. Henry lays out a tom heavy beat on “1300 Miles In Her Bare Feet” before the chorus slows to Ozzy-flavored sludge. Chunky rhythm guitars play against endlessly sustained moaning tones. “Eternally Grateful” is a high-stepping talking blues with unrefined grit and unbridled intensity. A lovely acoustic reprise of “Devil In A Spoon” hammers home the message of this eloquent paean to the abject destitution and liberation, a soul can undergo in the course of a lifetime. Not many people are as resilient or as courageous as Chris Newman. His odyssey is similar to the journey many people endure through the course of addiction. Chris is more fortunate than most. He is still alive to tell the tale. And we are fortunate to still have him here among us. For, his disquieting insights and alarming ruminations offer so much to anyone willing to listen to him. A brilliant, and brutally truthful piece of work. It’s been about a year and a half since we last saw a solo release from Susannah “Little Sue” Weaver. That album, “The Long Goodbye” inspected the parameters of a disintegrating relationship. This time out, for her fourth solo album, Sue’s perspective seems more even-handed, less despairing (though certainly less than “joyful” ), more astute. With this album, there is a sense of maturity- both in Sue’s erudite songwriting, as well as in the actual sound of her voice. In the past, her voice resembled that of a little girl, with a certain reedy quality entering into her delivery, ala Nanci Griffith, perhaps. Here, her voice, while retaining that reediness and a bit of the girlishness, sounds lower in timbre, often reminiscent of Mary McCaslin, a somewhat obscure folkie whose best albums were released in the mid ‘70s. Here, as with her last release, itinerant drummer/producer, wunderkind Ezra Holbrook is along for the ride. For this outing she has also brought on board expert guitarist Lewi Longmire (whom, along with Holbrook, contributed keys to various cuts) and bassist Tom Nunes (whom, along with Holbrook, also contributes background vocals on most tracks). The arrangements are simple, remaining true to Sue’s uncomplicated vocal and writing style; but are expertly rendered- subtly fleshing out the nuances in Sue’s easy delivery. Leading off the ten-song set is “Drunk,” a confessional number, with a sobering chorus: “Because giving up on someone else is like/ giving up on your self/It’s like giving up on part of yourself.” Longmire’s smoldering solo in the middle adds to the quietly robust production. An upright piano, whose tone seems lifted directly from Neil Young’s After The Gold Rush sessions, resonates against Nunes’ luxuriantly elastic basslines throughout “Diamond Mine,” where Sue presents a delicately memorable, somewhat jazzy vocal melody into the mix. Pretty, Eagles-like vocal harmonies decorate the gentle ballad “In Spite Of Everything,” as Sue dips deep into her most child-like of performances. Holbrook’s Indian drums add a rubbery bounce to the folksy twang of Sue’s downhome vocal on “Monkeyshine,” while a bubbly electric piano mingles with her acoustic guitar to form a shimmering sheen upon the surface of the track. A Beatles-esque essence informs the vocal melody of the title tune, “Shine,” a lovely little song, with a warm, fuzzy core. “Bittermind” sort of sounds like a few of the other songs found here. 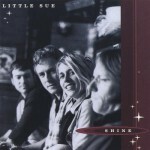 Again, Sue relies on a IV- IVm- I chord-progression as a device to create a mood in her melody for “Sweet & Tender,” most reminiscent of the middle section of Paul McCartney’s “I’ll Follow The Sun” with the Beatles, as well as Michael Nesmith’s post-Monkees hit “Joanne.” This, coupled with her propensity to invoke the old I- III7 gambit, lend many of Sue’s songs a certain old-timey sameness- at least in this incarnation. However, the final song of the set, “Hurricaine,” is an exception- with a feel closer to that of (perhaps an Americanized, country-twang version of) the Sundays’ Harriet Wheeler. A piquant piano motif adds to the grum mood. Cheery she is not, but Little Sue Weaver strikes a chord and stays with it throughout this album. Her talents are formidable, even as her angst is plainly palpable. Save for the lazy insistence upon those particular melodic/chordal clichés, she writes mostly concise songs whose subject matters never stray very far from the predictability of her neuroses. But she is extremely adept at voicing those feelings and fears, and for that, her music always retains an intimacy that is as intense as it is hopeless. 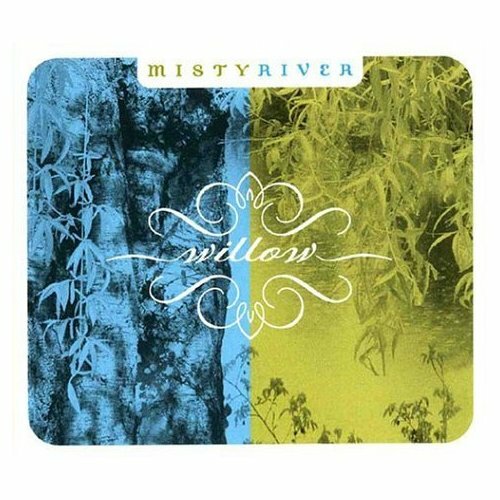 Misty River’s third release finds the talented quartet fleshing out the more muscular aspects of their presentation- which include an inclination for tight three and four-part vocal harmonies and a proclivity for well-executed ensemble musicianship. While the group are highly unlikely to “kick out the jams” any time soon, their insistent displays of unity and esprit de coeur dispel any notions of mutiny in the ranks. Their music is “tasteful.” It is not likely to offend anyone’s ears. While, for some, that may be the musical kiss of death; many people will appreciate their gentle stylings of traditional folk music; their fine renditions of other peoples’ songs, as well as their own compositions- all ubiquitously grouped under the innocuous banner: “Americana” – whatever the heck that is (other than a radio “format”)! But those are the group’s chief features. Well, those and the fact that rhythm guitarist and banjo/mandolin player Carol Harley and bassist Laura Quigley are mother and daughter. Hailing from Eugene, also the home of accordionist/guitarist/pianist Dana Abel, Harley and Quigley have been musicians all their lives. Joined by fiddler/guitarist/mandolinist Chris Kokesh, the quartet of women have been together since they first banded to play an open-mic in 1997. In the ensuing seven years, the four have tightened their focus, concentrating on their vocalizations and the staging of their instrumental presentations. The first four of the fourteen songs presented here are cover versions of works written by contemporary songwriters, beginning with Misty River’s interpretation of Kate Wolf’s “Green Eyes.” Wolf, who was one of the pioneers of the “new” folk movement in the early ‘70s in Northern California, dying of leukemia in 1986 (the same year our own Billy Rancher died of lymphoma); leaving behind a legacy of finally crafted folk songs. “Green eyes” calls to mind Jackson Browne’s “Song For Adam” in its lyrical imagery of a candle and its intuitive mood; and Joan Baez’ “Diamonds And Rust,” for its melodicity. Misty River’s version of the song is reverent and winsome, with Kokesh in the lead vocal role and Quigley and Abel providing the beatific backing harmonies. Nice solos from Kokesh on violin and Abel on accordion, add to the delicate nature of the song. Pretty. A hint of world music instrumentation (Indian percussion and shakuhachi flute) complements Harley’s banjo drone on Dave Carter’s beautifully heroic ballad “When I Go” (the title track from Carter’s first album with Tracy Grammar), a song which seems to prophetically envisage the author’s own untimely demise. The Misty River women lend the song an angelic choir of heavenly voices, while adeptly capturing the magnificent spirit of the song. Very nice. “Kathy’s Song” an early entry into the Paul Simon canon, is given a faithful treatment, enhanced greatly by Quiqley’s bowed bass and Kokesh’s violin, creating a mini string section in the backing. Quigley’s lead vocal is well-hewn and Abel and Kokesh’s backing vocals, singing in rounds, are also a very nice touch. The gals’ take on “Homegrown Tomatoes,” a nugget from Guy Clark (whom, along with Jerry Jeff Walker and Townes Van Zandt, was at the vanguard of the burgeoning country-rock scene that erupted out of Austin, Texas in the late ‘60s; a scene still thriving to this day) is as light as the subject matter. “The Cuckoo,” “Shady Grove” and “These Are My Mountains,” form a three-song suite of traditional compositions in the middle of the set. Harley’s unusual “claw hammer” style of plucking the banjo strings are the highlight of “The Cuckoo” (a song first brought to light by American music archivist Jean Ritchie), with Harley substituting her unique banjo technique for a similar approach Ritchie incorporated with a dulcimer. Close female vocal harmonies straight out of O, Brother Where Art Thou embroider their lively reading of the chestnut “Shady Grove” (another song from the Jean Ritchie songbook). “These Are My Mountains” is not really Americana at all, but is based on a traditional Scottish folk song. Still, the four musicians give the song an unique treatment- with guest Dave Reischman’s chortling mandolin ringing through the mix. 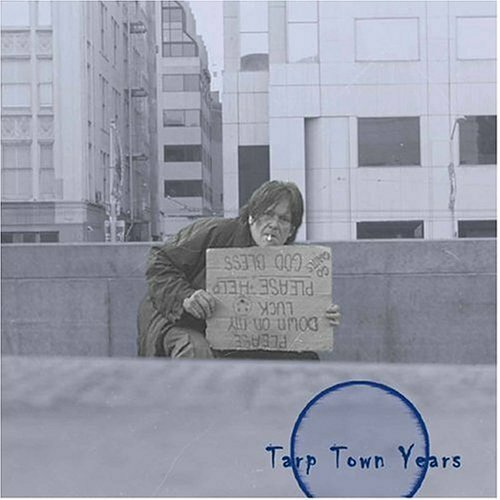 “This Town” is another Kokesh original, a slow dry, dusty, country-inflected number with a sentiment reminiscent of Ian Tyson and Sylvia Fricker’s “Someday Soon,“ as Ian & Sylvia (Judy Collins had a hit with the song in the late ’60s. Fricker also wrote “You Were On My Mind,” which became a hit for the band We Five in 1965). The title track, “Willow,” the other Kokesh original, has a distinctive Irish brogue about it, evoking “My Lagen Love” and a host of other old ballads; with the addition of authentic tin whistles and uilleann pipes provided by Hans Araki and Tom Creegan, respectively. Carol Harley picks up the mandolin on her composition, the seductive instrumental “Tammany Hall.” In a ¾ time tango, the piece saunters and slithers like a snake in a pulpit for the first minute, before launching into a more up tempo jam. Dana Abel turns to the piano to accompany her peaceful ballad, “Baird’s Lullaby,” a choice which greatly alters the musical landscape of the album (it somehow seems quite unlike the other songs). Still, if there is a market for children’s lullabies- and if I know the business at all, I can guarantee you there IS a market for contemporary children’s lullabies, this song is sure to sell a ton to young mothers all over God’s creation. It’s obvious that the members of Misty River love music, and especially love performing it. Their music is easily heard- like a massage for the ears. There are no harsh tones nor callous words. Whatever one might wish to call the type of music they do, Misty River do it very well.